Oil. ‘If Iraq was invaded for oil,’ Ahmad writes, ‘then the US was remarkably negligent in securing the prize’. Iraq awarded its first major post-invasion oil concessions in 2009, and the big winners? Norway, France, China and Russia. Of the 11 contracts signed only one went to a US company (Exxon Mobil). The only sector in which US firms prevailed was oil services—but ‘in that sector the US has always enjoyed a virtual monopoly, invasions or no’, Ahmad notes. It’s true that Bush and Cheney had worked in the energy industry, but US oil companies did not push for the invasion—in fact they lobbied to lift the sanctions on Iraq, which blocked potential profits. The oil industry has long favored agreements with governments, Ahmad notes; belligerence, in contrast, ‘has only jeopardized investments and brought uncertainty to future projects’. Did US oil companies try to cash in on the opportunity presented by the toppling of Saddam Hussein? By all means, but this is not to be confused, Ahmad argues, with why the invasion happened. Gulf energy resources have long been a vital US interest, he notes, but on ‘no other occasion has the US had to occupy a country to secure them’. Free markets. Naomi Klein has done the most to popularize this notion with her widely-read 2007 book The Shock Doctrine, seeing Iraq as a paradigmatic case of disaster capitalism—of predatory market forces exploiting a society convulsed by shock and awe. But ‘[b]eyond short-term gains for a few businesses’, Ahmad writes, ‘the war proved a disaster for the world capitalist system’. The world will be paying for the Iraq war for a bloody long time, as Joseph Stiglitz and Linda Blimes have demonstrated in The Three Trillion Dollar War: The True Cost of the Iraq Conflict. (They later revised that estimate upwards.) Market fanaticism of the Milton Friedman variety, Ahmad acknowledges, ‘was certainly ascendant in the aftermath of the invasion, but there is no evidence that it played any part in the deliberations over war’ (emphasis mine). He shows, moreover, that Klein conflates neoconservatism and neoliberalism—two distinct doctrines. His excellent discussion of the differences between them provides a salient corrective to the widespread confusion about this, especially on the Left. Global hegemony. The idea that the war was waged to expand US global dominance is belied, for Ahmad, by two facts: that it had ‘remarkably few supporters among the traditional advocates of American primacy’ and that the results have been a geostrategic catastrophe for the United States on myriad levels. The first point might seem counter-intuitive, but as someone who wrote extensively about the Iraq debate in US foreign policy circles, I can confirm that Ahmad is exactly right about this. Attacking Iraq was a minority position in US officialdom. Against it were the realists of the sort who dominated the administration of Bush’s father and were pillars in the foreign policy teams of Reagan, Carter, Ford and Nixon: think national security advisers Brent Scowcroft and Zbigniew Brzezinski, secretary of state James Baker and the late senior diplomatic adviser Lawrence Eagleburger. All of them opposed the war. As did Colin Powell. This has been largely obscured by the secretary of state’s infamous presentation to the UN on the eve of the invasion, one replete with lies and distortions. Not only Powell but virtually the entire state department, and indeed a significant swath of the military and intelligence establishments, opposed going to war. Who, then, were the war party—and how did this minority faction get their way? 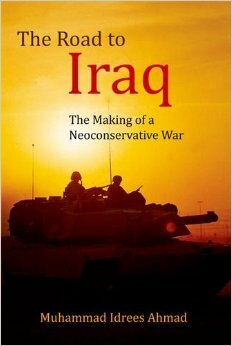 The road to Iraq was paved with neoconservative intentions. Other factions of the US foreign policy establishment were eventually brought around to supporting the war, but the neocons were its architects and chief proponents. New York Times columnist Thomas Friedman, himself a supporter of the invasion, told the Israeli newspaper Haaretz in April 2003: ‘I could give you the names of 25 people (all of whom are at this moment within a five-block radius of this office [in Washington]) who, if you had exiled them to a desert island a year and a half ago, the Iraq war would not have happened’. The war was ‘conceived in Washington, but its inspiration came from Tel Aviv’, he writes, echoing the political scientists John Mearsheimer and Stephen Walt, authors of the influential (and controversial) book The Israel Lobby and US Foreign Policy (which began as an essay in the London Review of Books). Mearsheimer and Walt, the two preeminent realist scholars in international relations theory, maintain that both Israeli leaders and the Israel lobby in the US urged the Bush administration to invade Iraq—a course of action, they contend, that was not in the geostrategic interests of the US but that Israel saw in its interests. Ahmad concurs with them. ‘Not all imperial projects are about economic predation: some simply aim to destroy political enemies’, he argues—correctly, in my view. But in taking out Saddam Hussein the US destroyed one of Israel’s political enemies. In so doing, Mearsheimer and Walt argue, it undermined American national interests. Ahmad demonstrates in painstaking detail how the neocons in the Bush administration—especially in the Pentagon (Wolfowitz and Douglas Feith—think ‘Feith-based intelligence‘) and the office of the vice president (Lewis ‘Scooter’ Libby)—aggressively advanced the (Israeli) case for the invasion. ‘It’s a toss-up whether Libby is working for the Israelis or the Americans on any given day’, British Foreign Secretary Jack Straw remarked. Joe Klein, a centrist columnist for Time magazine (and himself Jewish) wrote that the neocons pushed for the invasion ‘to make the world safe for Israel’. As Ahmad notes, however, the neocons operate on the basis ‘of what they think are Israel’s best interests’ (his emphasis): whether the war, which has significantly strengthened Iran, was actually in Israel’s interests, is highly contestable. Many Israelis opposed the war. But as former New Republic editor Andrew Sullivan contends, neoconservatism ‘is about enabling the most irredentist elements in Israel’. The neocons are more accurately seen as Likud-centric than Israel-centric. Against the widely-held view that Israel does America’s bidding, Ahmad shows how Israelpolitik is at odds with both US geostrategic interests and those of global capital. Big Oil, the Business Roundtable and the US Chamber of Commerce have locked horns with the Israel lobby on multiple occasions over sanctions on Syria, Iran, Libya and other states—measures that the lobby pushed hard but the corporations opposed fiercely. ‘US support for Israel, when considered not in abstract but concrete detail, cannot be adequately explained as a result of American imperial interests’, the late anti-Zionist and leftist writer Israel Shahak observed. ‘Strategically, Israel is obviously a huge burden for the US’, notes Sullivan. This view is becoming increasingly clear to many observers and indeed to more and more in the US foreign policy establishment. I find Ahmad’s arguments about the motivations behind the Iraq war—and his critiques of the dominant alternative explanations—broadly convincing. But I wish he had engaged directly with some of the criticisms of the Mearsheimer-Walt argument. I share his view that most of those criticisms are unconvincing and that the Israel lobby thesis generally stands up to scrutiny—but his defence of that thesis would have emerged stronger had he dealt with some of the more serious criticisms leveled at it. He doesn’t even mention, much less engage, the criticisms that Noam Chomsky, Norman Finkelstein, or Joseph Massad, for example, have advanced against Mearsheimer and Walt. Like Ahmad, I think those criticisms are wrongheaded. They take issue with Mearsheimer and Walt at the level of their ideological framework, or the conceptual arc of their argument. They argue—to make a long story short—that Mearsheimer and Walt let the US off the hook, in effect, and are insufficiently anti-imperialist. But the Mearsheimer-Walt thesis is an empirical matter—the question isn’t what one thinks of their worldview in general (a worldview Ahmad and I both find deeply flawed, by the way) but whether their argument about why the US invaded Iraq in 2003 is correct or not. I agree with Ahmad that the evidence is on the side of Mearsheimer and Walt rather than their critics. But it would have made Ahmad’s defence of their (and his) case more compelling had he aired those arguments. Ahmad takes the liberal writers Michael Tomasky and Todd Gitlin to task for ‘denounc[ing] anti-war voices’—but both Tomasky and Gitlin opposed the Iraq war. They had criticized opponents of the 2001 invasion of Afghanistan, not the 2003 invasion of Iraq. Ahmad approvingly quotes Tony Judt’s brilliant London Review of Books jeremiad ‘Bush’s Useful Idiots’ (21 September 2006), in which the late historian upbraided the liberal intellectuals who supported the war. I have written in praise of the piece myself. It was Judt at his best. But Ahmad neglects to mention that Judt himself was a liberal who strongly supported the humanitarian interventions in Bosnia, Kosovo, and East Timor. Like most of us who supported those interventions, Judt strongly opposed the Iraq war—which, as Ahmad demonstrates, was anything but a humanitarian intervention. To their eternal shame, some humanitarian interventionists supported the Iraq war—but they were in the minority within the humanitarian interventionist camp. 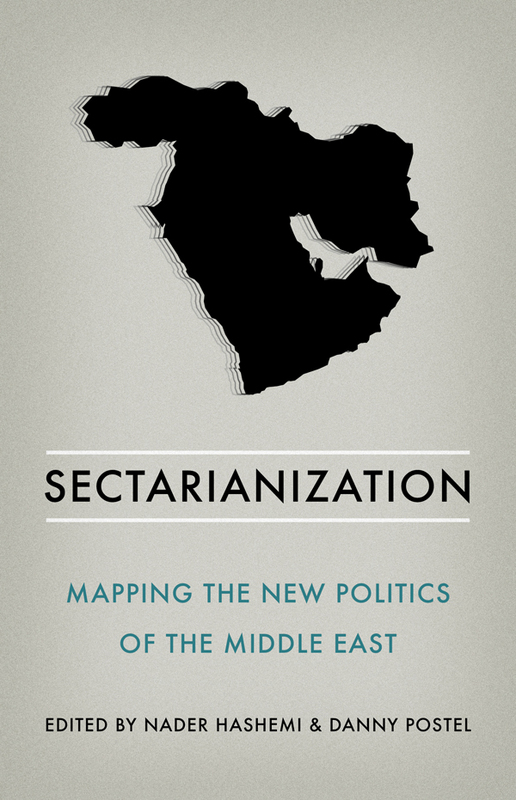 Judt belonged to the very camp that Ahmad criticizes for, in his view, providing intellectual cover for the Iraq war. In fact, Judt was squarely in the majority among liberal interventionists in opposing the Iraq war. Indeed, liberals and humanitarian interventionists articulated some of the most forceful arguments against invading Iraq. – Danny Postel is Associate Director of the Center for Middle East Studies at the University of Denver and a co-editor of PULSE. 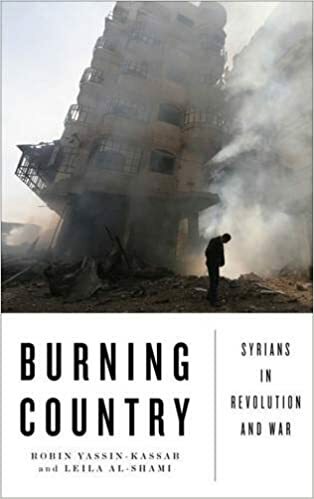 He is the author of Reading ‘Legitimation Crisis’ in Tehran and co-editor of The People Reloaded: The Green Movement and the Struggle for Iran’s Future and The Syria Dilemma. Between 2003 and 2008 he wrote a series of articles about the neoconservatives, Iraq and Iran for The American Prospect, openDemocracy, Mother Jones and other publications.